Summary: Ava is welcomed home from the hospital by a doting mother, lively friends, and a crush finally beginning to show interest. There's only one problem: Ava can't remember any of them - and can't shake the eerie feeling that she's not who they say she is. My Thoughts: Well, as a huge fan of Elizabeth Scott, I get excited when she releases a new book. I jump, I hop, I am excited to get it. I'm over the moon! So when I picked up As I Wake, I was expecting this super great story I would love... Did I love it? Uh no. After I finished, I went and read other reviews on this one. Some really loved it, and others really did not, like me. Maybe I just like her contemporary more and when an author goes another way, it either succeeds or it doesn't. For me, it didn't. We are introduced to Ava who wakes up not knowing who she is. She doesn't remember the girls who claim to be her friends, the boy named Ethan who her friends claim she liked, or even her own mother. She doesn't remember her house, or her classes. Nothing.. Except a few memories of a boy named Morgan. As I Wake is told in present time and than memories. Ava starts remembering events that seem like they are from another life, another time, another world. Half the book I was confused. I didn't know what the heck was going on or even remotely understand it. As time went on, I did get it and I caught on. But I did not like it. I just didn't connect. The only thing I did like was Morgan. And he wasn't around all that much. Everything seemed to just be repeating over and over again. 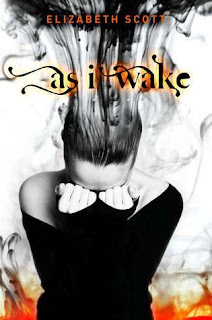 As I Wake had potential, it really did, it just wasn't the right kind of Scott for me. Maybe more sci-fi lovers will enjoy it. But I didn't. I adore Scott so of course I'll still be picking up any other book she writes, I just hope they are contemporary. As I Wake just wasn't the right book for me! I'd love to hear your thoughts on it. Overall: I just couldn't connect to it. I didn't like the repetitive tone, I didn't like Ava's voice, or the voice of the story. I didn't hate hate it, I just didn't enjoy it either. Cover: Beautiful amazing cover! When I First saw this cover, I loved it! I do have a harder time with Elizabeth Scott's harder hitting novels than with her contemporaries but I have been reading a few other books dealing with amnesia and have kind of gotten used to the confusion and frustration of them. I hate that you did not like this book, it looks really good, but I honestly have not read any of her books. I've liked a lot of Scott's fun, somewhat light contemporary, but I've had issues with her other types of books as well. Okay, I'm glad I'm not the only one who felt like the book was confusing. I like her other books (in fact, I'm reading Between Here and Forever right now!) but this one was just a miss. Thanks for writing your review! This is depressing. I had been looking forward to this book. I also have a hard time enjoying a novel if I can't connect to it. I love the premise of this one and I know I'll pick it up eventually since I already own it. Based on the reviews I've encountered, it also doesn't seem to be a hit with people who already love Scott's contemporaries. I've read some of her books but maybe I'll still be able to appreciate this one. Thanks for the review.